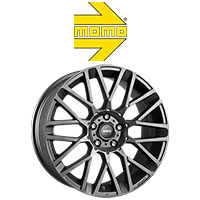 Pictured: The DRC DMM is an on-trend OEM-inspired alloy wheel design ideal for BMW and other passenger cars. Pictured: The Calibre Outlaw is a load rated alloy wheel design ideal for the Ford Ranger and other 4×4’s. With many vehicles no longer being supplied with a spare wheel and the risk of being stranded increasing, Road Hero Space Saver Wheel Kits feature everything you need to get home safely. We wholesale our affordable, high quality alloy & steel wheel solutions to the automotive trade. Featuring some of Europe’s leading brands, you can be assured of affordability, functionality and style. 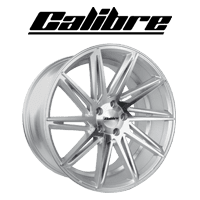 The Calibre range features over 50 affordable alloy wheel designs with contemporary, retro and utility styles. 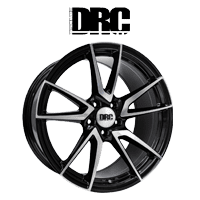 The DRC range features a selection of OEM-inspired alloy wheel designs ideal for Mercedes, BMW, Audi and more. Combine our selection of alloy wheels with top tyre brands to create the perfect package. We’ll fit and balance them, ready to bolt straight on to your vehicle. Enter your vehicle details using the search bar at the top, or start your search here. In addition to our industry-leading selection of alloy wheels, we also supply a range of related items including Coilover Kits and Lowering Springs from top brands such as Cobra and 5Forty; and Tyre Pressure Monitoring System sensors, tools and service kits from T-Pro, Schrader, Huf, VDO/Continental, ATEQ and more. Enter your vehicle details to find alloy and steel wheels with the perfect fit. Why not add our competitively priced budget or branded tyres and TPMS sensors to your package? We’ll fit and balance them for you. All our wheel only and wheel & tyre packages come with all the necessary nuts/bolts and rings to fit them to the vehicle. Although our fitment data is accurate, our team has years of experience to notice any potential fitment issues, before they cause you a problem. Our wheel only and wheel & tyre packages are packaged securely and dispatched to your nearest retailer for collection, or to your door. Use our site to pick your wheels and create a wheel & tyre package, and we’ll send your order straight to your nearest accredited retail partner. Wheelwright unveil the new Calibre T-Sport alloy wheel for Ford Transit Connect. Can you drive your Super Car fast, but safely? New finishes for popular Calibre T-Sport Van Alloy Wheel now available! Why Order Wheels from Wheelwright? We are the UK’s longest established and most favoured wheel wholesaler & distributor. Established in 1980, we have accumulated over 35 years experience serving the automotive industry. 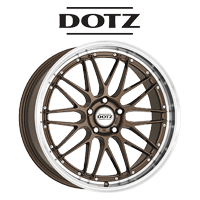 We are intrinsically linked with the UK’s best network of Alloy Wheel Retail Partners – create your perfect wheel package featuring designs from Calibre, AEZ, Dotz, MAK, DRC or Dezent Wheels on this website, and we will send your cart to your nearest accredited retailer, who will contact you for payment, delivery and fitting. 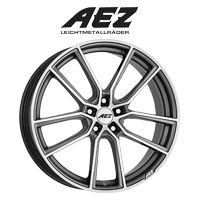 We offer the UK’s most comprehensive collection of passenger car, prestige, SUV, 4×4, motorhome and commercial van alloy wheels. We are confident in our ability to deliver unrivalled availability, accessing stocks in the UK & Germany as the sole UK distribution partner for the European Alcar Group. How will I get my wheels? We don’t just see ourselves as a wheel supplier – we are a logistics company. Our competences as a distributor allow us to offer UK stocked products with super-fast next day delivery; with German & Italian stocked items delivered in as little as 3 days. 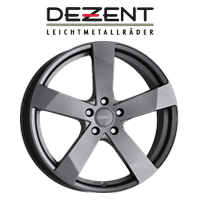 Our wheel & tyre packages, are delivered fitted and balanced, and are supplied with all fixtures and fittings required to bolt them straight to your car – we are proud to deliver these in as little as 2 days through our extensive courier network. If you choose to order wheels and tyres from our website, your basket will be forwarded to your nearest retailer who will be in touch to process your order, and to arrange delivery and/or fitting. Need advice? Trust the UK's Number One Wheel Supplier. Ask the experts anything about wheels and tyres and we will endeavour to help set your mind at ease. Sometimes, choosing wheels can be a challenge. You can be assured in the quality of our products, but also the quality of our advice and fitment information. Thanks to over 150 years of combined wheel and tyre experience from our Technical Team to our Sales and Customer Support Team, we have lived through the trials and tribulations of wheel fitment, from caliper clearance issues, to centre bore complications. Thankfully, we not only know about the problems, but more often than not have a simple solution to resolve it. LOOKING TO SELL ALLOY WHEELS? Are you interested in selling alloy wheels from our top brands? We’re always looking for new alloy wheel retailers to add to our accredited network of trade accounts. Easy account set-up, unrivalled trade support, unbeatable car park coverage and fantastic UK and European stock holding.